A night shot of my city. 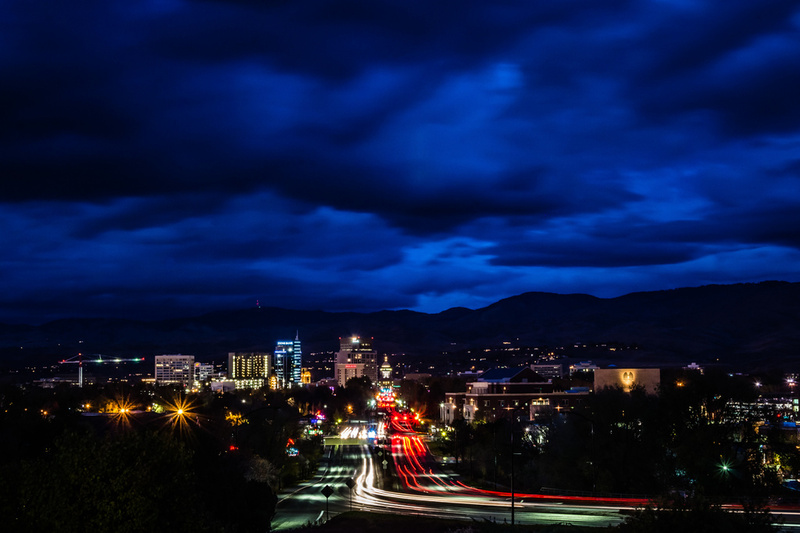 I was pleased to capture stormy skies and blue light, traffic trails and city lights. Fav that! Just awesome viewed large! Amazing color and POV! Gorgeous! What a terrific combination of dramatic sky, light trails and the city. Wow! Wow. Love the light trails, but the deep blue clouds are what make it a fav! This is great - wonderful shot. Wonderful night shot, like you say there is so much going on in this shot. Very dramatic sky. Beautiful shot! The night sky is like a silk, 13 seconds exposure, What a great shot! Wow, you got them all in one! Spectacular shot - fave! Fabulous capture, I love the inky tones in the sky! Fantastic capture, love the sky!!! Perfect exposure and time of day to pick up great cloud detail. Must have been taken from the old railroad depot. Well done. Such deep,dramatic lighting! Very nice! Everything clicks with this one! FAV! Love this, Lisa, just so beautiful! Brilliant night shot, so much going on, dramatic sky, bright lights, light trails, rich colours. Fav. Beautiful, love the blue tones !! Amazing ! I like this kind of "light painting" ! Beautiful, dramatic, colourful, stunning. Love it all. Big fav! Looks great viewed large - love all the colours. Really love that stormy sky and what a colour! Fab - you've really caught the colours here! One ticklist complete! Spectacular! What a crazy sky! Did you use a different white balance to bring out all that blue for the sky half? Stunning sky over a great cityscape, fab shot. excellent shot! amazing view and love the colors! @archaeofrog Thank you, Katie. No, I didn't change the WB. The sky was unbelievably blue and stormy but I did saturate the colors a bit in LR. @pflaume Ahh, crazy! What a sight. Gorgeous capture. The blues and blacks are great. Fantastic view. What a wonderful and dramatic night capture. Beautifully done. Gorgeous, fantastic shot - a fav. I'd say this city is more beautiful at night. Tremendous and beautiful! Were you standing on a bridge in the dark again? Wow that sky is amazing!! Wow!This is a fav! Just such a cool vibe to this image! Wow Lisa, what a great job !! Stunning picture! Awesome! Fantastic colour in that sky! And those starbursts! Great job. So much to look at, appreciate and enjoy in this Lisa. @riverlandphotos Not this time. :) I was safely on a hillside looking down on the city. Thanks for your comment! Very dramatic - great shot!! love the colors and light trails - Fav! What a great night shot Lisa, the blue sky is so dramatic and the light trails are great too. Wow! What a fantastic indigo sky.